Reimagined, redesigned and creating new expectations; the all-new 2018 Q5 fuses edge-of-your-seat performance with cutting-edge technology. When it comes to style, dynamics, and comfort, the 2018 Q5 is the new benchmark. There are no obstacles, only achievements, and now is the time to redefine how an SUV drives - and looks. From every curve, line, and detail of the all-new 2018 Q5 the original Q design is brought through. 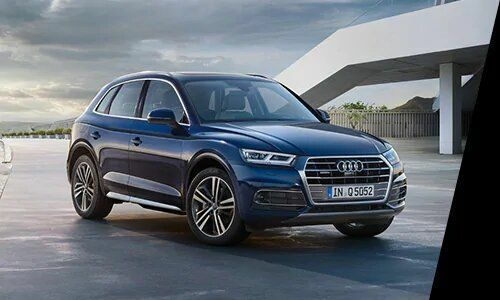 Featuring a defined shoulder line, sculpted hood, prominent wheel arches and Singleframe grille® with 3D LED headlights; the all-new Q5 emphasizes power and strength and embraces a timeless SUV design everywhere you look. 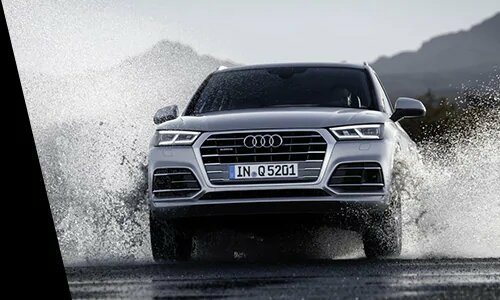 The all-new 2018 Q5 has been revigorated with improved performance capabilities. With 273 lb-ft of torque, the exhilarating 252-hp turbocharged engine can take you 0 to 60 mph in 5.9 seconds to help make your drive altogether thrilling. 2.0T engine quattro® with ultra® technology. The quattro® all-wheel drive system with innovative ultra® technology helps optimize performance and efficiency by adding predictive, reactive or proactive power shifts depending on road conditions or driver demands. 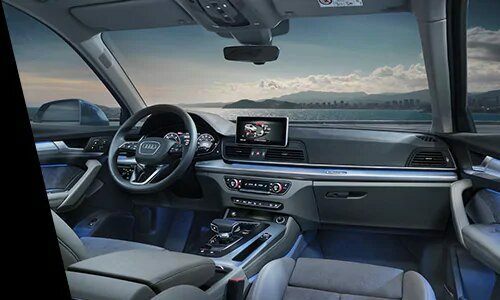 The 2018 Q5 boasts impressive and futuristic new technology to improve the experience while in the cockpit and behind the driver's seat. The newly available MMI® touch technology with handwriting-recognition allows the operator to navigate the system by writing their inquiry rather than picking numbers or letters or by moving their finger across the touch pad to more easily navigate the maps. The integrated 12.3-inch, entirely digital, instrument cluster offers classic and infotainment modes, with Google Earth™ and Google Street View™. Live and drive the good life in the all-new 2018 Q5. Things happen on the road with always moving obstacles, traffic, and vehicles. 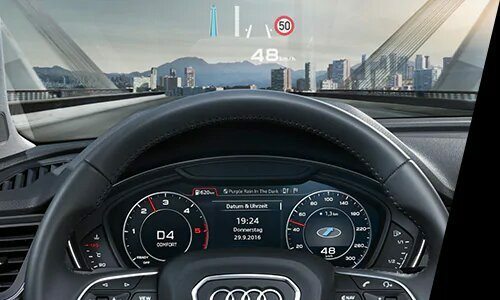 The advanced driver assistance technologies available in the Audi suite can help alert you to some of the unpredictable stints that come your way. The 2018 Q5's rear cross traffic assist uses radar sensors and optical warnings to help notify the driver of coming vehicles and can even prompt the driver to slow or stop the vehicle. Audi pre sense® city can identify stationary and cornering pedestrians and vehicles at speeds as fast as 52 mph, warning the driver of an impending collision and even launch emergency braking.